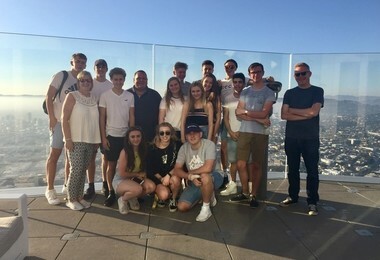 Fourteen Sixth Form students and three members of staff spent the first week of the autumn half term break in California on the fourth biannual Media Studies tour. Blessed with excellent weather throughout the trip, a great time was had by all. Arriving at Hermosa Beach at 1am UK time and 5pm USA time, meant a local meal was followed by an early night. An early start began with a tour of Los Angeles, including Santa Monica and the end of Route 66, with our hop on tour guide, Ryan, who provided us with a detailed history of the city and the film/media industry. A walk down Hollywood’s Walk of Fame was followed by tours of Grauman’s Chinese Theatre as well as the Dolby Theatre (where the Oscars are held). 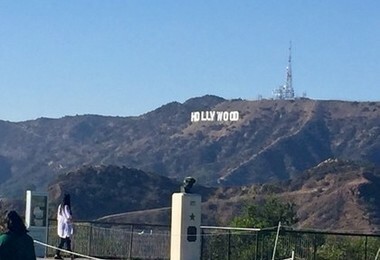 A real bonus was the chance to drive up to the Griffiths’ Park Observatory for a closer view of the Hollywood sign and Max R recognised the place from the classic scene from James Dean’s Rebel Without a Cause film whilst other students knew it from the Grand Theft Auto video game franchise. A trip to the OUE Skyspace tower rounded off the day, affording wonderful views of the city as well as the opportunity to slide down the outside of the building, from 70 floors up, on a glass slide. At Warner Bros the students were taken on a tour of the working studios, sound stages and back stage lots where current and past tv programmes and films have been made. Ciara K’s day was made when she had a photo with her favourite Harry Potter character, Dobby the House Elf. 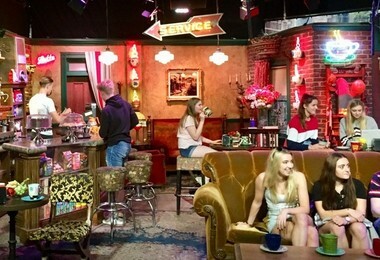 Everyone was excited to sit on the Friends’ sofa at Central Perk and we were lucky to arrive just as a scene from the show was being re-enacted. Amelia B played Rachel, Maddie H played Joey, whilst several others played extras (James C played a very convincing barista with Zack T as his customer whilst Sophie-Anne A, Pendra S and Ciara K were other customers). Max B seemed to particularly enjoy looking at the sports trophy cabinet on the tour of the University of Southern California, where our guide gave a remarkable display of walking backwards. The final visit of the day was to the L.A. Times newspaper plant where the production and distribution processes of a print newspaper proved fascinating to the students. The robots, the printing presses and the sheer size and amount of paper used to produce a single day’s papers were bewildering. Zack T recognised the scene from The Green Lantern that was filmed where the printing machines were. The first activity on our tour of Universal Studios was an exclusive VIP visit to the rehearsal of the Special Effects show. This was a fascinating insight into lighting, sound (foley effects), stage combat and visual effects and the students asked many probing questions. The highlight was Theo B volunteering to go on stage to mimic the movements of a stick man on screen. This ended with Theo dancing as the bear from Ted, much to the delight of the rest of the students. 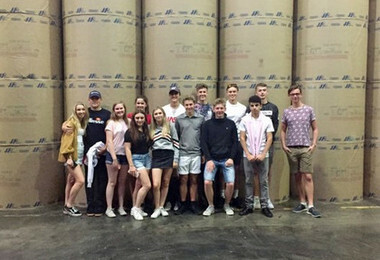 After the back stage tour with the 3D King Kong and Fast and Furious experiences and the Jaws, War of the Worlds and Pyscho sets the students (and staff) were free to explore the rides and Harry Potter World. An early finish enabled everyone to get down to Hermosa beach for a spot of beach volleyball before a wonderful sunset and a final meal in L.A. 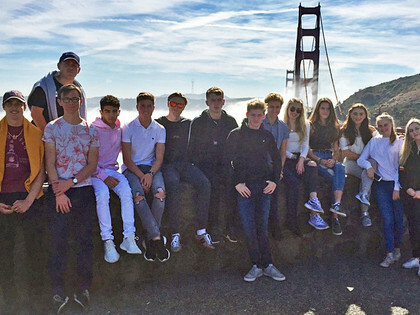 While the journey is long and tiring, students experienced one of the top ten drives in the world as we travelled along the coastal road from Los Angeles to San Francisco. Breathtaking scenery of the Big Sur and the thousands of elephant seals basking on the beaches are a lifetime memory. The student playlist, a media quiz (won clearly by Theo B and Ethan N) and the late lunch stop at Monterey Bay succeeded in breaking up the long drive and we arrived at a very foggy San Francisco and the impressive Hotel Whitcomb, tired but happy after a memorable day. We were joined by our second hop-on tour guide, Barbara, for our trip to Silicon Valley, and she was extremely knowledgeable of the history of computers and the tech industry. 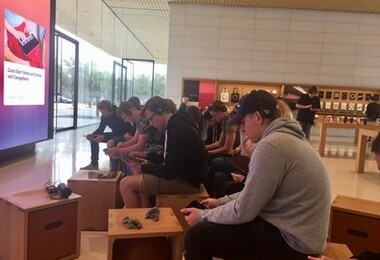 Our first stop was at the Apple visitors’ centre where a hands on GarageBand class was arranged. Apple’s new headquarters is extremely secretive although an interactive 3D display enabled a fascinating look inside. A trip to Google was equally interesting with their open campus allowing access to all. Onsite catering, a pre-school, hair cutting, doggy days etc. all support the ethos of the company never wanting you to leave. 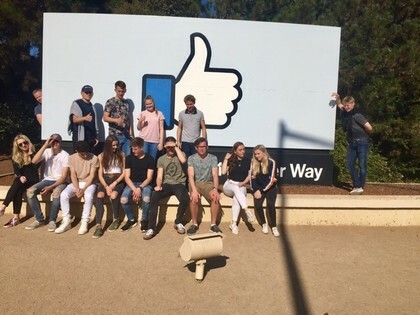 A tour of Palo Alto and a visit to the Facebook sign completed our tour of social media institutions. Having a little time to spare we were lucky to have perfect weather for a trip up to Twin Peaks on our return, offering beautiful views of the whole city and Bay Area. The last full day of the tour began with our trip to Alcatraz, where we were amazed to bump into two OS in the form of Will H and Jonnie S (both having left the College 12 years ago). Barbara re-joined us for our tour of San Francisco. Golden Gate Bridge was in spectacular form for our photo stop, with fog surrounding its base but the bridge itself visible. 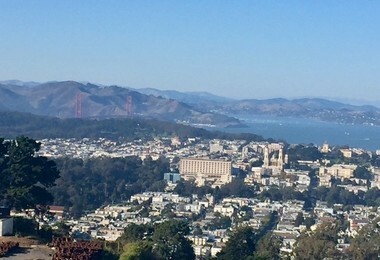 A short drive down into Sausalito provided our lunch break, before returning to the city for our visit to the Walt Disney Family Museum, a trip to Alamo square and finally Fisherman’s Wharf. The end of tour meal was held at Player’s Grill on Pier 39, where the enormous portions surprised several students and the meal was completed by our own Oscars Prize ceremony. Taxis back to the hotel rounded off another full day. The morning of the last day offered an opportunity for shopping and a last minute exploration of the city by tram, trolley bus or streetcar before the shuttles to the airport at 2pm. Again all the travel arrangements went smoothly and everyone was happy to see Mrs Wyatt and Mr Bashford and the College minibuses and to arrive back at the top of School House Drive at 1.15pm. 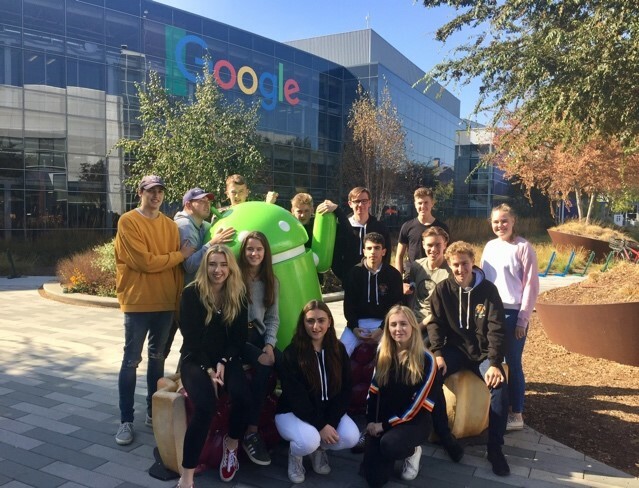 This fourth highly successful Media Tour was made so enjoyable by a group of fourteen positive, enthusiastic and polite students and I would like to thank them, as well as Mr Fulton and Mrs Dickinson, for their contributions to its success.